We’ve asked some friends to help us raise some money for our Producers Circle, which supports our performing arts programs, including the SFArtsED Players and their production of Carnvial. And the good news, our friends are incredibly talented performers, so when they help out, everybody wins! Cabaret stars Paula West and Craig Jessup head a lineup of talent that includes SFArtsED alums Rodney Earl Jackson, Jr. and Ryan Doyle along with extraordinary artists like G. Scott Lacy, Christopher Nelson and Ken Muir. 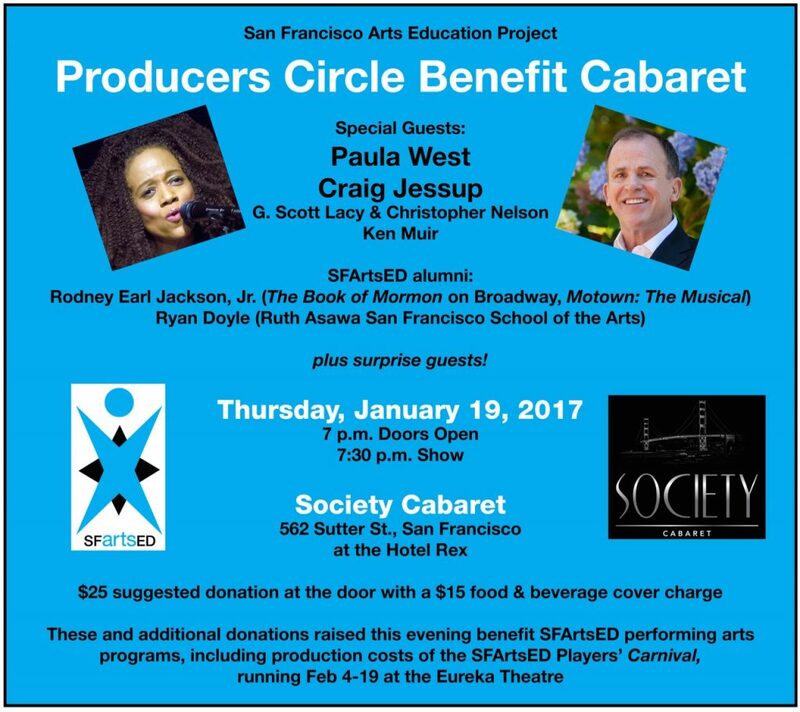 The PRODUCERS CIRCLE BENEFIT CABARET is Thursday, Jan. 19 at Society Cabaret in the Hotel Rex, 562 Sutter Street near Union Square. Doors open at 7 p.m. and the show begins at 7:30 p.m. There’s a suggested donation of $25 at the door plus a $15 cover charge for food and drink. 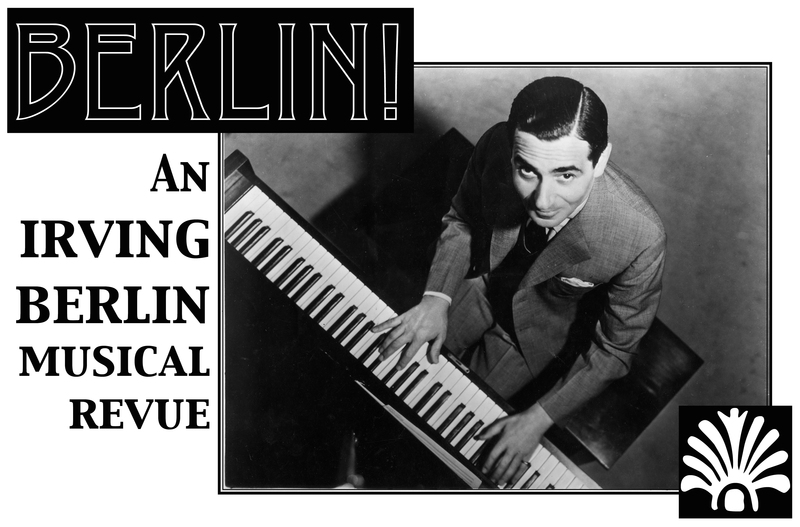 Please join us, bring friends and prepare to enjoy yourself and help raise money for young performers.